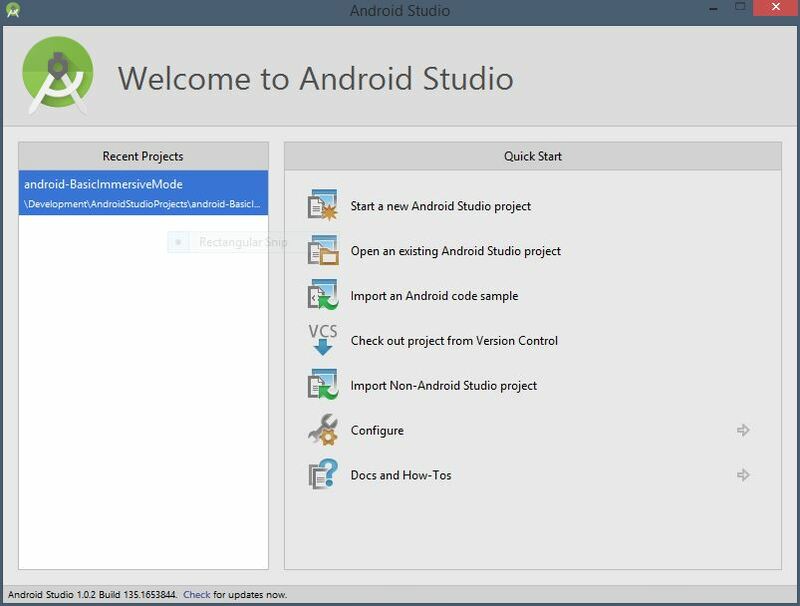 The beta release of Android Studio arrived in mid-2013 followed by a version 1.0 stable release in December 2014. I’ve been looking to get back into Android development so with the release of Lollipop and Android Studio v1.0 there is no better time than now to dive back into it. Installation of Android Studio was far simpler than installing the Android Development Tools plugins into Eclipse. On a Windows 8.1 machine, it consisted of downloading the installation executable from Google and following the installation wizard to get up and running… and just about ready to develop something. The last time I dabbled in Android development, I found that the ADT plugin for Eclipse was decent however I do recall struggling a little to get the Android virtual device emulator to work properly. I don’t recall being able to dive right into development quite as quickly as Android Studio has allowed me to. The best way to test out a new tool or environment is to open up existing code and diving right into it. Luckily, Android Studio provides a very simple way to import a ton of different sample applications that demonstrate various Android development topics. The process for importing these into an Android Studio project is unbelievably simple too. When launching Android Studio for the first time, you are presented with a standard Welcome screen with a number of options to get you started. The Import an Android code sample option takes you through a simple wizard for importing Android samples. The source for these samples is hosted on GitHub however the wizard seamlessly downloads the source behind the scenes without the need for toying with a source control system. After modifying the project name and location (or accepting the defaults) you are ready to start playing with the sample application you have chosen. The IntelliJ IDEA platform does come with different key binding schemes, one of them being an Eclipse key binding scheme. This is handy if don’t want to have to learn a whole different set of keyboard shortcuts for common tasks such as CTRL-SHIFT-T to search by type. This setting can be found under Keymap settings in the Settings dialog (hint: search on “Eclipse”). In order to run the sample application, you’ll need to set up an Android device emulator (or alternatively connect a real Android device and remotely debug). Select Run Application under the Run menu to launch the application. At this point you are asked to select a device emulator. 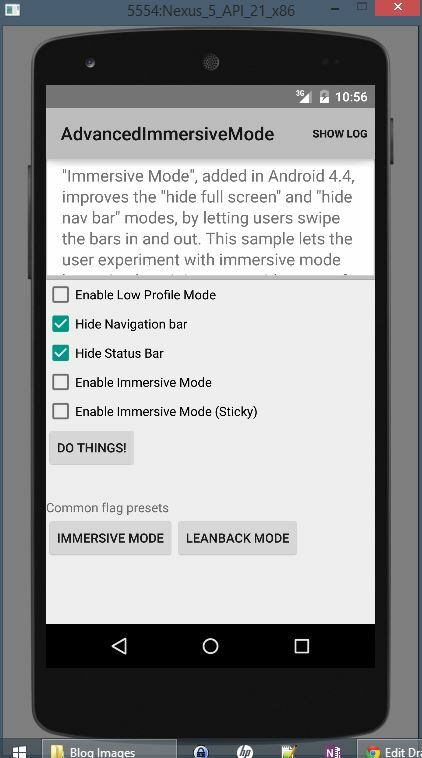 By default, there should already be a Nexus 5 virtual device pre-configured and ready to use… this is a great place to start. The Android emulator detected that my system supports Intel VT-x but that it was has not been enabled. I had to go into my computer’s BIOS settings to enable this feature before continuing, which required me to close everything down and restart. A similar feature called AMD-v must be enabled on computers with AMD processors (if available). After turning on Intel VT-x and attempting to run the sample application a second time, the Android emulator detected that I did not have Intel HAXM software (Hardware Accelerated Execution Manager) installed on my machine and warned me that the performance of my emulator would not be optimal. So I went off looking for help and found some simple instructions for installing Intel HAXM software on the Intel site. After a few configuration changes and software installation I was able to get my emulator up and running with my sample application, in a relatively short amount of time. Bonus: It was a pleasant surprise to find out that I could use the touch screen on my laptop to interact with the virtual device. Overall, it seems I was able to install Android Studio software, import a sample application and run it on an emulator in under 2 hours compared to several more hours of fooling around with Eclipse, plugins and disparate Android development tools to get something running in the pre-Android Studio days. The experience has been greatly simplified although I may just know what to look for this second time around given previous experience developing Android applications. I am certainly excited to continue exploring all that Android Studio has to offer.